To hear Danny Glover’s conversation with Pat Prescott go here. 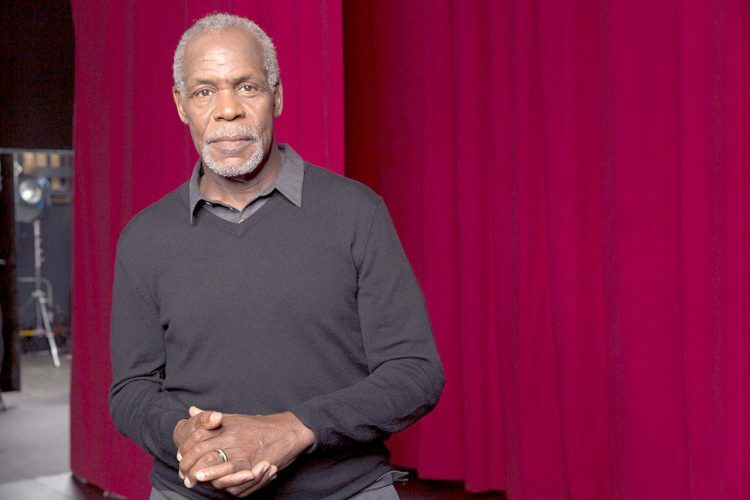 Actor, producer and humanitarian Danny Glover has been a commanding presence on screen, stage and television for more than 35 years. Glover was born in San Francisco, California, to Carrie (Hunley) and James Glover, postal workers who were also active in civil rights. Glover trained at the Black Actors’ Workshop of the American Conservatory Theater. It was his Broadway debut in Fugard’s Master Harold…and the Boys, which brought him to national recognition and led director Robert Benton to cast Glover in his first leading role in 1984’s Oscar®-nominated Best Picture Places in the Heart. The following year, Glover starred in two more Best Picture nominees: Peter Weir’s Witness and Steven Spielberg’s The Color Purple. In 1987, Glover partnered with Mel Gibson in the first Lethal Weapon film and went on to star in three hugely successful Lethal Weapon sequels. Glover has also invested his talents in more personal projects, including the award-winning To Sleep With Anger, which he executive produced and for which he won an Independent Spirit Award for Best Actor; Bopha! ; Manderlay; Missing in America; and the film version of Athol Fugard’s play Boesman and Lena. On the small screen, Glover won an Image Award and a Cable ACE Award and earned an Emmy nomination for his performance in the title role of the HBO movie Mandela. He has also received Emmy nominations for his work in the acclaimed miniseries Lonesome Dove and the telefilm Freedom Song. As a director, he earned a Daytime Emmy nomination for Showtime’s Just a Dream. Glover’s film credits range from the blockbuster Lethal Weapon franchise to smaller independent features, some of which Glover also produced. He co-starred in the critically acclaimed feature Dreamgirls directed by Bill Condon and in Po’ Boy’s Game for director Clement Virgo. He appeared in the hit feature Shooter for director Antoine Fuqua, Honeydripper for director John Sayles, and Be Kind, Rewind for director Michel Gondry. Glover has also gained respect for his wide-reaching community activism and philanthropic efforts, with a particular emphasis on advocacy for economic justice, and access to health care and education programs in the United States and Africa. For these efforts, Glover received a 2006 DGA Honor. Internationally, Glover has served as a Goodwill Ambassador for the United Nations Development Program from 1998-2004, focusing on issues of poverty, disease, and economic development in Africa, Latin America, and the Caribbean, and serves as UNICEF Ambassador. In 2005, Glover co-founded Louverture Films dedicated to the development and production of films of historical relevance, social purpose, commercial value and artistic integrity. The New York based company has a slate of progressive features and documentaries including Trouble the Water, which won the Grand Jury Prize at the 2008 Sundance Film Festival, Africa Unite, award winning feature Bamako, and most recent projects Uncle Boonmee Who Can Recall His Past Lives, and The Disappearance of McKinley Nolan. Denmark – Why Are Danish People So Happy?